The pristine waters lap at a beach along the French Riviera in the Provence region of France. Beach and red rocks along the coastline near Le Trayas, The Riviera, Cote d'Azur, Provence, France, Europe. Make sure to visit our photo gallery for beach pictures. 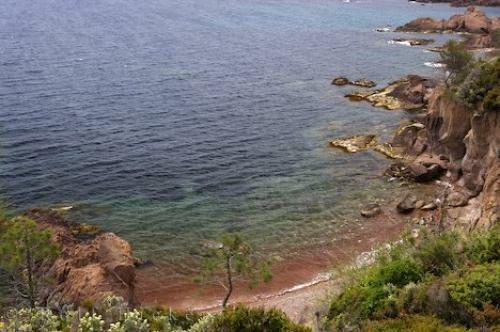 Photo of a beach fringed by red rocky cliffs near the french village of La Trayas.